Snow in Jerusalem is always a memorable occasion. Below is a portrait of the IDFs newest recruit, at an army base in Jerusalem. The uniform is not regulation, and his enlistment will probably be very brief. Copyright - Original materials copyright (c) by the authors. 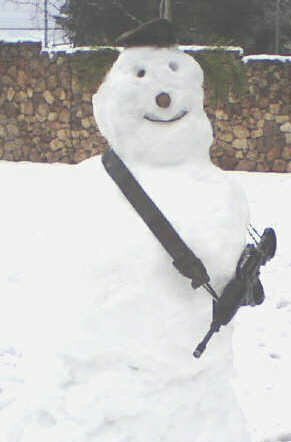 Originally posted at http://israel-like-this-as-if.blogspot.com/2008/01/snow-in-jerusalem-idfs-latest-recruit.html. Please do link to these articles, quote from them and forward them by email to friends with this notice. Other uses require written permission of the author.